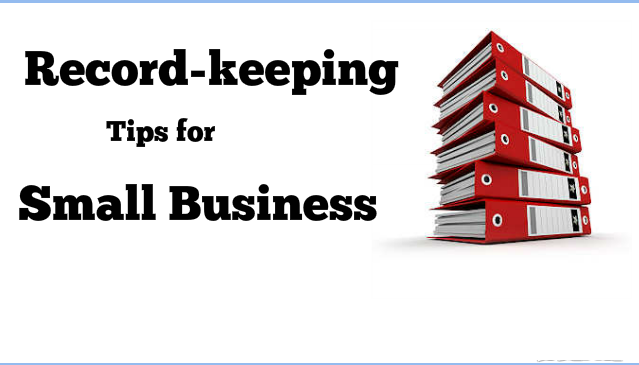 I wanted to give you some tips on recordkeeping. Whether you’ve got a brand new business or you’ve got a business that’s been around for a while, it’s always good to revisit what do I need to do. What recordkeeping requirements are there for me? So much stuff is provided to us through our banking relationships, and credit cards, and so forth. Actually tracking receipts is something unfortunately we have to deal with yet. The first thing that we should do is make sure that we’re using an automated accounting system, something like CloudBooks. There’s other programs out there like that, but something that you can use to record the information coming in from those receipts that you’re collecting. You want to have good information and it’s important that you get that in there and that you use it. A lot of times I see people taking and only putting information into CloudBooks or another accounting program once a year. You need to do it regularly. Weekly, monthly, whatever works in your schedule. You want that information in there so you can make good business decisions and so that you don’t create a burden for yourself at the end of the year. If you’re always pushing things to the end and doing it at the last minute your accounts can have a hard time really helping you. Kind of like garbage in, garbage out and if everybody’s in a rush it’s just not going to work well. Be sure you that you maintain your records on a timely basis that you review what’s there and you use that information for planning. CloudBooks is great at providing us financial statements that we can use to plan for the future but that only works if we got the information in there. Now those receipts themselves, you need to have them. 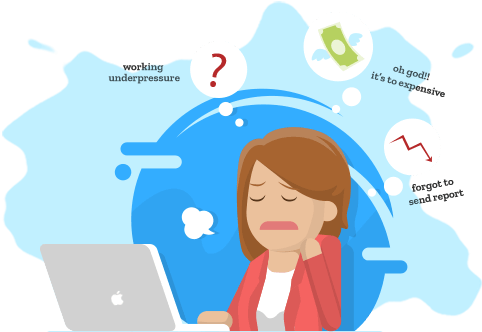 Your bank statements, your credit card statements, that’s not good enough. The IRS won’t accept that in an audit. You actually need to have the receipts. Now that doesn’t mean most of the time that you need to have drawers and drawers full of paper receipts. You can scan them in and those scanned copies will work in most cases so I highly recommend that. That gets rid of the paper in your office and the storage issues and requirements, so hang onto those receipts. It’s really important. When you’re looking at the types of expenses that may be deductible in your business a lot of people ask me, can you give me a list of typical deductions that I should have in my new business, you know, what should I be looking for?” Really it’s whatever expenses that you incur that are necessary for running your business and what you should do is you should track everything. Anything that’s remotely related to operating your business, to finding customers, to working with your vendors and your employees, and so forth, keep it all. Because even if you’ve kept track of things, expenses that turn out to not be deductible, let your CPA make that decision for you. Don’t you decide ahead of time what that might be and draw the line. You may be throwing away deductions and you don’t want to do that. Really keep track of everything that’s remotely related to your business and then let your CPA help you make the decision as to what will be deductible and what won’t be. Then this recordkeeping process, in doing a good job of that, as I said, that’s going to help to reduce your income tax liability. There are other taxes that you have to deal with be they sales taxes, payroll taxes, personal property taxes. The government keeps finding all kinds of interesting ways to tax us, unfortunately. We want to make sure that we file accurate reports and that we don’t pay anymore than we absolutely have to and, especially on payroll reports, that we don’t make a mistake in doing our payroll reporting and get penalized. Because who wants to pay that tax, and pay penalties, and pay interest. You want to have a good system in place for tracking the information that you’ve got and for properly recording and filling out your sales tax reports, personal property reports, payroll reports and so forth. You need to have good information to do that. I see a lot of businesses that are poorly managed and do a poor job of recordkeeping and every year, inevitably, they have this line item for penalties. Penalties aren’t deductible so not only do you get stuck for paying this extra amount you don’t even get a tax deduction for it. Let’s try to avoid that by doing a good job of keeping track of our records and filing our reports accurately. The last tip deals with how long do I need to keep those receipts and records. The statute of limitations for a lot of the information that we have might be three years, five years, seven years. There’s a number of different statutes of limitations that dictate how long we need to keep our records. A good rule of thumb, I would say, is just think about seven years. Seven years keeps you safe for most things, so maybe you hang onto things and then after that you can destroy them. I typically don’t recommend keeping things forever. There’s no sense in doing it, you don’t have the need to do it. Be sure to think about how long you need to keep it and if there’s some specific areas that you’re unsure of visit with your CPA or your attorney. They can give you direction on that particular item and how long that you need to hang onto it. Bottom line is you want to do a good job of keeping track of your business records so that you can minimize your tax liability and maximize the amount that eventually comes out to you, the business owner. We have enough things going out there as small business owners. A lot of costs, and regulations, and compliance issues that we have to deal with. Let’s do the best job we can to make sure that we maximize the bottom line so that we have a good return on our efforts and the work that we do.